Vern Burkhardt (VB): How is Putting Our Differences to Work different from other books written about diversity? Debbe Kennedy: I love being asked this question, because Putting Our Differences to Work isn't at all a typical "diversity" book in the traditional sense. It's a book about seeing differences differently from a variety of vantage points and learning about how differences have a direct connection to the generation of new innovation, growth, and wealth of many kinds. What differentiates its message, as a practical guidebook for leaders and innovators, is that it changes the prevailing rules about how we think, behave and operate in the twenty-first century in three specific ways. First, it illuminates five distinctive qualities for leaders and innovators at every level to add to their existing portfolio of skills that will enable them to work in a distributed, ever-changing global marketplace. Second, the ideas presented draw together four elements of business and society that we traditionally handled separately in our day-to-day work and in our thinking – if not in our words and processes, then certainly by visible measures of our actions and practices: innovation, leadership, diversity, and inclusion. These four elements when integrated into mainstream leadership consciousness are a powerful foursome to drive success of any organization. Third, the ideas presented in Putting Our Differences to Work elevate the significance and importance of people. In the context of new thinking and concrete examples, people and all their differences are proven again to be at the forefront of all achievement. The affirmation is that our differences multiply the possibilities for innovation, the "engine of growth." VB: People often think of diversity as being about skin color, gender, ethnicity or sexual orientation. Are there other important aspects of diversity in the workplace that leaders should pay attention to? Debbe Kennedy: These traditional aspects of our differences as people have been a "work in progress" for many years. The list has grown as we learned more about one another, but in themselves, the list of labels has been somewhat limiting in describing the many dimensions of difference each of us represents. I remember our company was honored one time to be commissioned to create a beautiful puzzle to portray all the differences in Hewlett-Packard's family across the world. Even with many updates to the puzzle over a decade, someone always seemed to be left asking, "What about me?" or "What about this difference?" Although many of us identify with one or more of the traditional descriptors when we consider diversity in its broadest sense, each of us has many dimensions to our difference that we draw upon in our work and lives. Dr. Shirley Ann Jackson, President, Rensselaer Polytechnic Institute, affirms this idea in a great bit of wisdom that helps us understand why we need to master the art of seeing differences differently – in their broadest sense – not only in others, but in how we view and value ourselves. She said, "To create an environment which is conducive to breakthrough ideas, one must not exclude from the great mix – from the great diversity – because one of those ideas or those elements may, indeed, be the piece which sparks the next great innovation." VB: You say we are continually waking up to "…the value of the broader dimensions of diversity and the important role they play in helping you take the fastest route to innovation, leadership and high performance." Would you elaborate? Debbe Kennedy: For me, technology has provided the most compelling examples that continue to wake up the mind to amazing possibilities for innovations, opportunities to lead, and opening the way for high performance right before our eyes. One great example was IBM's "values jam." Led by IBM's chairman and CEO, Sam Palmisano, IBM took on the challenge of re-examining the company's core values for the 21st Century. Instead of the corporate office doing it or having some outside consultant craft this important work, IBM wanted to engage the whole company, allowing employees from across the world to be involved in speaking up on issues and putting their fingerprints on redefining IBM's values for a new time. I love this story, because it shows the power of putting all those dimensions of differences to work to help lead IBM to a new level of success. It's creativity and innovation at its best. Sam Palmisano described the real value this way, "I feel that I've been handed something every CEO craves: a mandate, for exactly the right kinds of transformation, from an entire workforce." I would have to say this story exemplifies "the fastest way" is by mastering the art of putting our differences to work. IBM's "jam" process has opened the way for many other innovations, including new products and services for customers. Although this is a corporate story, my book has many others about individuals and organizations, big and small, including small businesses, government, and non-profits proving the notion of "the fastest way." Today, our workplaces, marketplaces, and communities are interconnected and interdependent. We need everyone engaged in solving our most pressing problems, and we have concrete examples to inspire the important work ahead. VB: Joel Barker writes in your book about innovation at the verge of differences. How does innovation occur at the verge of differences and how can one encourage this? 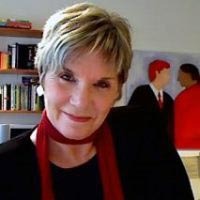 Debbe Kennedy: Joel and I have been long time collaborators in exploring the connection between diversity and innovation. He defines the verge as "where something and something different meet." In Putting Our Differences to Work, we wrote two collaborative chapters to discuss our research, findings and learning. He describes this innovation rich place and provides many examples. What is distinctive about "verge innovations" is that they prove to be quicker and less expensive than innovating from scratch. Additionally, they allow you to do things that others can't do or don't want to do. The first innovation at the verge of differences I recognized was when Joel Barker pointed out that our Leadership Solutions Companies business was founded on this kind of innovation. Our goal when we started the company was to focus on custom leadership communications solutions. To achieve this in a highly competitive world, we brought leadership consulting services together with graphic and fine arts. This unlikely combination of skills and all the dimensions of differences that came from our combo of corporate leadership experience and entrepreneurial success, created a distinctive niche in the consulting world that allowed us to survive in a world of big consulting firms. In Joel Barker's 2009 film, Innovation at the Verge, he highlights our story, along with many other inspiring examples of unique products and services. Joel Barker selected my book as a guidebook for innovating at the verge. You can learn more about how the book relates in a special 3.5 minute video primer he created for the book. It was a very nice surprise and it is a mini-innovation learning experience in itself. The video is on YouTube. VB: Many people and religions consider diversity a threat. Are you optimistic about our ability to embrace diversity and thereby solve conflicts between peoples and nations? Debbe Kennedy: I am optimistic when I see what happens when people come together in companies and in communities. This said, recently the debate about differences and race has been opened again. The opportunity for dialogue is always good, because it becomes the first step toward the next level of action. The resolution to our arguments has a lot to do with us – you and me. The hope of it all comes down to fundamentally responding as I mentioned – changing how we think, operate, collaborate, and lead at every level of business and society. The call is both personal and practical. It is a validation that we need to learn to see differences differently. There is much to learn from those who have transcended divides, deep hurts and injustice, and led the way for healing to begin by their example. Nelson Mandela serves an exemplary role model for us. I came across a timely piece of his wisdom that adds perspective to consider in our current discussion: "The purpose of studying HISTORY is not to deride human action, not to weep over it, or to hate it, but to LEARN FROM IT as we contemplate our future." Gandhi also told us about the realities that separate us when he said, "It may be long before the law of love will be recognized in internal affairs. The machineries of governments stand between and hide the hearts of one people from those of another." However, even with this truth and our ongoing debate, people are proving that they can do what some of the most powerful leaders seem helpless to accomplish. One story I share in the book that proves this point is a best practice from a community organization in Israel, Interfaith Encounter Association. Their work focuses on interfaith dialogue. The story, told by Dr. Yehuda Stolov, is about their Israeli-Palestinian dialogues. He tells how the early moments of the first conference started with hesitation and suspicion – and in little more than twenty-four hours after meeting, they had a social evening. He describes how small miracles took place. People were singing together. They were dancing together. They were telling jokes with each other. When the time came to say goodbye to one another, they were hugging each other and feeling sad to go back to the outside reality. This story is repeated in some way every time I host a global dialogue ONLINE at our conference center or discuss the experiences of others doing similar things. It is also happening in our business and social networking tools across the world. We have new ways to communicate and connect that are changing the possibilities for everyone and opening up new ways for us to put our differences to work. VB: You suggest that the most important interpretation of diversity and inclusion is the one an organization creates and adopts – "let the words belong to the people". How do you get everyone involved in this process in large organizations? Debbe Kennedy: I suppose an IBM "jam" kind of idea could be applied here. It might not need such a sophisticated system or process, but virtual classrooms, Skype, Twitter, Facebook, LinkedIn, and other forms of networking are providing opportunities for such conversations and employee engagement. A senior leader once told me as he watched his group work to define an initiative in their own words, "I can see from watching that it doesn't matter if it is perfect. It matters that it is theirs." Over the years, I've learned in working with people that they are brimming with ideas. They know best what they need even when they don't realize it. If you get them started, as we saw in the IBM "values jam" example, they won't disappoint you and in the end, the outcome carries with it much more meaning to everyone in the organization. Many stories in my book validate this point. Lao Tzu helped us understand this idea in the wisdom he left behind, "The real leader, you barely know they exist, and when the aim is fulfilled, the people say, "We did it!" VB: How can people's different ways of thinking and seeing be aligned to create breakthrough products and solutions? Debbe Kennedy: Here I think it takes practice – perpetual practice. Aristotle was on to something when he said, "The things we need to do, before we can do them, we learn by doing." I believe developing leaders for the organizations of the future, and for today, calls for something more immediate and consciously ongoing than ever before. I think we have to consciously change how we think and operate as leaders and innovators at all levels, considering that every word spoken, every thought expressed, every attitude revealed has a powerful influence on our success. The Five Distinctive Qualities for Leaders introduced in Putting Our Differences to Work are a good start. With these new yardsticks for behavior and actions, breakthrough products, services, and profit making will be measured by consciously delivering a more mutually beneficial outcome: win, win, win. I win, you win, we all win. I'm not suggesting that this is easy. Joel Barker and I have practiced living these principles for many years in practical experiments in our collaborative work, our teams, our partnerships with others, and our customers. It takes more thought about others, you have to think through implications, and sometimes it calls for adjustments to make things right. We share our learnings in the collaborative chapters we wrote in the book – "Innovation at the Verge of Differences" and "Collaboration at the Verge of Differences." VB: As you indicate, differences can cause initial conflict and misunderstanding in the midst of a lot of creative drive. How does one turn this conflict into positive creativity? Debbe Kennedy: I think you can avoid conflict or at least minimize it by first setting the stage so people are on the same page – operating under the same set of intentions and values. The IBM "values jam" was again a great example. If the people set the stage and define the direction with their fingerprints on it, it is much easier to minimize conflict. In some of the most creative projects – even in large groups – laying the common ground together can be self-policing. We can help one another live up to the expectations we set for ourselves. Conscious practice works to build confidence and competence. VB: You say the idea of putting our differences to work is not new, and yet we struggle with it. Would you talk about this? Debbe Kennedy: We've been witnessing our struggle in the United States and in every corner of the world. The more you study history, the more humbling our work becomes. Mark Twain captured it best when he said, "The ancients stole all our good ideas." Yes, things are different. Perhaps the stakes are much higher in our lifetime, but throughout history we've proven we know how to put our differences to work. The 40th anniversary of the U.S. landing on the Moon serves as an example. In my book, Dr. Oguchi Nkwocha, a medical doctor and Igbo visionary from Biafra in southeastern Nigeria, shared a unique global perspective on this achievement of many differences coming together. It started with the clarity of a leader's dream, one sentence with just thirty-one words that claimed a goal for a nation. It mobilized many dimensions of difference to achieve what seemed to some an "impossible dream." We all have this same kind of opportunity in our businesses, organizations, communities, nations, and indeed in the world. With just some seemingly small shifts in consciousness of leaders at every level, imagine what we could do together. VB: You participated in the Habitat Jam on December 1, 2005. Would you tell us about this event, and how it reinforced the idea that putting our differences to work is the fastest way to innovation, leadership and high performance? Debbe Kennedy: This is a grand story! The Habitat Jam was actually one of the rippling influences that emerged from the success of the IBM "values jam." The Habitat JAM was a courageous experiment sponsored by the Government of Canada in partnership with United Nations Habitat – the Human Settlements Program – and IBM. It was built with an unlikely collaboration among a diversity of people from all over the world. The experiment was innovation at its best. It put differences to work for the common good. We talked with each other. We shared and explored ideas. We began putting talk into action. On December 1, 2005, nearly forty thousand people logged on to participate in the Habitat JAM, a seventy-two-hour global experiment. The people of the world came together in an unprecedented online dialogue for the first time. The Habitat Jam story became the first major proof point to substantiate my claim in the subtitle of my book: The Fastest Way to Innovation, Leadership, and High Performance. In addition to chronicling the amazing story in the book, we also created a commemorative visual self-learning exhibit at the Knowledge Gallery at the Global Dialogue Center. It includes a video telling the story in the words of the people. It moved me deeply. Interestingly, in this creative endeavor of many differences, there was no conflict. No one was using bad language. Not a hint of disrespect when nearly 40,000 strangers united on common ground. What could we learn from this example about what we are capable of doing together? VB: There were 70 actionable items that resulted from the Jam. Have there been any significant and lasting outcomes related to those actions? Debbe Kennedy: Well, I don't know the tracing of all of them. I do know that the work that was done resulted in setting the agenda for the World Urban Forum III attended by over 14,000 people with a changed dialogue format. Also, I know that my Habitat Jam Good Neighbor Group, which I tell about in the book and in the exhibit, lives on today. We still meet about every 6 to 8 weeks, and continue the work goals we established together. I've also collaborated with others involved. So, I would say overall, it was the most productive conference I've ever attended. VB: You identified the distinctive qualities of leadership as "makes diversity an organizational priority", "gets to know people and their differences", "enables rich communication", "holds personal responsibility as a core value", and "establishes mutualism as the final arbitrator." And you say that if enough people hold these five qualities of leadership as a core belief we just might create a tipping point that will ensure the Internet will be good for all. Would you elaborate? Debbe Kennedy: It's related to a new level of leadership consciousness. We talked about that earlier. Think about it. Imagine the power of each of us shifting our behavior to include these value-based considerations as a leadership practice day-to-day. VB: "Ideas create momentum. Someone else's ideas work like springboards to the discovery of your own powerful ideas." Would you talk about this? Debbe Kennedy: This relates to what I mentioned earlier about people knowing best what is needed. In my consulting work over the years, I've found if I could lay the foundation with a few thoughtfully selected ideas, most often they worked as springboards for my clients' ideas to emerge. Consequently, in both of my books, Putting Our Differences to Work and Breakthrough! there are many thoughtful ideas offered in the form of best practice stories, strategy ideas, and key points to take away. This was by design with this truth in mind. Give people a few ideas and they will produce a better one tailor-made for their organization. VB: You emphasize the importance of making mutualism a final arbiter of all we do. What do you mean by this? Debbe Kennedy: If your standard is always to create decisions, solutions, products, partnership, services, and profit-making in the concept of win, win, win – I win; You win; We all win – it gives you a reliable personal leadership "yardstick" to measure your actions against your intentions. It doesn't mean that everyone necessarily benefits in the same way. What it does mean is that everyone benefits; no one is harmed. Imagine how differently current realities would be if leaders and innovators on many fronts led with this kind of consciousness. VB: Do you see a trend of increasing numbers of organizations that have people-focused values? Debbe Kennedy: I'm not sure I see a trend. If anything, there have been many examples to the contrary that we've all sadly witnessed. That said, I do see that good intentions and long-held values seem to help organizations and individuals weather the storm. They make us stronger. They help us see new possibilities. I do believe these are times of crisis, challenge, and great opportunity. I think that personal responsibility is being elevated as a core value. This is an emerging trend, and a good one. Curiosity about others will be a 21st Century differentiator. I wrote about this in a blog post, and it certainly affirms your question about being people-focused. I think the "game changers" will be leaders and innovators with the mastery of putting differences to work effectively. This requires developing a genuine curiosity about others. VB: What message do you have for leaders who say they are too busy worrying about their financial bottom line and stock values to "put people and all their differences at the forefront of all achievement"? Debbe Kennedy: I think they may have short-term gains, but their leadership will not be sustainable in the long-term with that approach. People are the fuel for innovation; innovation is the engine of growth. In the blog post I just referred to, I cited an address that Sam Palmisano, IBM's Chairman and CEO gave to the Counsel on Foreign Relations in November 2008. It was a call for a new leadership agenda. He wrote, "Our political leaders aren't the only ones who've been handed a mandate for change. Leaders of businesses and institutions everywhere confront a unique opportunity to transform the way the world works." To me, this is an invitation to step out in front with new thinking, a new consciousness, and a renewed recognition of the vital role people play in executing strategies and delivering innovation to the world. VB: One of the things you emphasize in your book is the importance of conversation as a way to get to know another person. It is a basic human activity but seems to be underused. What advice do you have for leaders who wish to encourage more conversation in their organizations? Debbe Kennedy: I think it takes practice. What's going well that's supporting your important work? What would it take to make it better? VB: To build relationships, "you listen, you seek to understand." It sounds simple. Why is it so difficult for people? Debbe Kennedy: I think building relationships takes conscious thought and practice. It is more of an art for a leader and innovator. You need others to do their best work, so you have to consciously make an effort to develop the skills and mastery of putting differences to work. In the process, you will broaden your knowledge and know-how in building meaningful relationships with others. VB: You talk about the need for leaders to assess themselves and know themselves as a leader. Why is this important? Debbe Kennedy: One of my most valued leadership mentors was Frances Hesselbein, Chair of the Board of Governors of the Leader to Leader Institute – formerly the Peter F. Drucker Foundation – and recipient of the U.S. Presidential Medal of Freedom. He taught me about this idea. "Self-assessment is a process of self-discovery, a means for assessing how to be: how to develop quality, character, mind-set, values, and courage." Without examination of oneself, it is hard to grow as a leader. VB: How can a leader identify and harness the power of their people to transform their organization? Debbe Kennedy: Well, I think this comes from developing a "curiosity" about others – getting to know them well enough, so you can tap into their many dimensions of difference where you need them most. VB: In Breakthrough! you ask the question "…why are we so good at talking all around problems…instead of trusting our own judgment and committing ourselves to an immediate course of ACTION aimed at resolving the problems?" And you provide the following answer: "The longer we talk, analyze, work to crystallize the perfect words to describe our unique issues…the longer we avoid having to act – having to figure out what to do and risk doing it." Why is it often so difficult for leaders to figure out what to do – isn't that why they are leaders? Debbe Kennedy: It's because of fear. The biggest shortcoming I've witnessed in leaders that are struggling is failure to execute. They talk about things. Change directions. Change jobs. Start another project. Quit. Unfortunately, some do everything but mobilize and take the ultimate leap of faith to achieve results. It is sad to watch. I've witnessed a few go from job to job repeating what has to be an unfulfilling experience. Executing asks more of us. It is risky, but without it you have only effort. Not good enough today. VB: Would you describe your 'Breakthrough!' problem-solving tool and how it can benefit individuals, teams and organizations? Debbe Kennedy: I'm into practical books that I always wished I had as a manager. So, Breakthrough! is very practical. It was designed as a boxed set of organizational tools that can revolutionize the way you approach problems. You can identify core issues in minutes relating to management, your team or your whole organization through action-directed conversation. The boxed-set includes a hardcover, two-color, 288-page book, a diagnostic two-color card-deck that defines 52 of the most common problems in any organization in seven areas of organizational influence, 500 solution strategy ideas, and a CD with team process ideas. It has been described as "part game, and part process" designed to help people and organizations speed up their ability to solve significant problems in their organizations. It's a timeless set of tools that was honored with an InnoThinK Award "...for the most far-thinking combination of message and media." VB: You say the 'Breakthrough!' tool "beats brainstorming every time." Would you explain? Debbe Kennedy: It does! There is a great story in the book about how the concept was developed based on a real and relevant organizational experience. In short, the card deck accelerates the identification of problems in a significant way by naming 52 of the most common problems. It includes blank cards for your ideas and related process quick reference cards. Each card has a related quote from a respected leader. For example, your mind is filled from being in another meeting all morning. You're staring at a blank screen or blank yellow pad with 10 minutes until you're on with the boss to brief him or her on the top three issues and strategies in your organization. You simply grab the card deck, sort through it, and you'll find the three issues or something close. It'll help clarify your three issues. Then you use the 500 related themed strategy ideas in the book, pick a few, and you're ready to go. What works great with the team process is that you can identify problems in clear language that you might not be brave enough to say, because it is written on a card – for example; Risk Aversion, Too Much Talk; Too Little Action; Inability to Break Our Own Rules; Culture Doesn't Support Change. VB: You have seven original paintings on the wall above your desk; these are of Mother Teresa, Viktor Frankl, Martin Luther King Jr., Nelson Mandela, Mahatma Gandhi, Jalaluddin Rumi, and Eleanor Roosevelt. If you were going to add paintings of five more leaders who would they be and why would you choose them? Debbe Kennedy: Lao Tzu. I've found great affirmation and validation in Far East wisdom. It is clear and direct. Frances Hesselbein. She has taught me that leadership is not how to do it. It is about how to be. Aristotle. He would remind me that we learn by doing. Plato. From the Allegory of the Cave, he would remind me that we must be masters at working in the dark; at building trust with people, so they will follow us into the Light outside. Kazuo Inamori. He is one of Japan's most admired entrepreneurs. He would remind me of his belief that a leader must earnestly pursue the question, "How can I improve my human qualities?" VB: You are the founder, president and CEO of the Global Dialogue Centre and Leadership Solutions Companies. Would you tell us about these organizations? Debbe Kennedy: Leadership Solutions Companies is an award-winning, women-owned enterprise that's been in existence since 1990. It specializes in custom leadership, organizational, and virtual communications solutions. We help other people be great. The Global Dialogue Center was founded in 2004. It is a virtual gathering place for people throughout the world, and is fully funded by Leadership Solutions Companies. It has an intentional focus on leadership, professional, and personal development. We hold a strong belief that people who are thinking, questioning, exploring new ideas, learning and spending meaningful time together are more effective leaders of organizations, communities, schools, governments and families across the world – as well as being catalysts for the change. We need to create a better world than we know it today. It is open to the public. Our newest addition is our Global Dialogue Center ONLINE Conference Center, which enables us to be in conversation with people throughout the world. VB: You are an active social networker. You have various blogs and websites such as the Global Dialogue Center. What motivated you become involved in social networking? Debbe Kennedy: I've worked in virtual space about ten years. In Putting Our Differences to Work, I tell a few stories of my early discoveries and inspirations. Overall, I've had a curiosity about how you could develop meaningful relationships in the distance. I admit it. I'm hooked! With practice, I continue to be amazed at what can be accomplished and the depth of understanding and goodwill you can experience across the globe in virtual space. For example, I have a Putting Your Differences to Work blog, Women in the Lead Inspiration blog, make regular entries into Twitter, and am an active user of Linkedin and Twitter. VB: Are social networking tools such as Facebook, MySpace, YouTube and Skype helping people better understand each other and solve world problems? Debbe Kennedy: I think we are learning a lot about one another and we're still exploring how to effectively utilize these new tools. What I love about this learning process is that it's perhaps the finest opportunity for global democracy at work. The challenge is finding the magic combination for your particular needs and having time to do them in the way you might like to contribute. VB: You encourage people to "dream big" and go beyond what people expect. What big dreams do you have for the future? Debbe Kennedy: I feel very blessed. I love my work and my life. I hope to continue to advance our work at the Global Dialogue Center, to help others master the art of putting differences to work, put a small fingerprint on this time in history, and strive to be a leadership example. These are my big dreams. VB: Do you have one final key message for our IdeaConnection readers? Debbe Kennedy: Welcome the unexpected. Watch for the uncharted path that bears your name. Lead the way! VB: Thank you for taking the time to talk to us about how differences have a direct connection to innovation, growth, and wealth creation. Debbe Kennedy advises, "The opportunity for each of us, and all of us, is to distinguish the twenty-first century as a time where, through the strength of our differences across the world, new levels of meaningful and useful innovation are realized, transforming business and society." Makes diversity an organizational priority (create an environment that makes diversity a catalyst for success rather than just celebrating or saying we appreciate differences). Gets to know people and their differences (value unique perspectives). Holds personal responsibility as a core value. Establishes mutualism as the final arbiter (everyone benefits and no one is harmed). Kennedy identifies some common mistakes leaders make when talking with people. They are relevant, accurate, and may strike a cord with some IdeaConnection readers! Debbe Kennedy is the 1990 founder, president, and CEO of the Leadership Solutions Companies, a women-owned enterprise specializing in custom leadership, organizational and virtual communications solutions, and the Global Dialogue Center. Launched in 2004, the Global Dialogue Center is a virtual gathering place for all people throughout the world to focus on leadership, and professional and personal development. It has a special focus on bringing its brand of excellence to women's personal and professional development, leadership, and mentoring, and was the inspiration behind the 2005 addition of Women in the Lead, a resource center for women worldwide. Kennedy is a pioneer and innovator in people-focused leadership, and employee communications in virtual space, including creative uses of Web 2.0 technologies, and other social media. Prior to Leadership Solutions Companies she held leadership positions at IBM, with five years in Los Angeles, California before accepting a position located in Anchorage, Alaska. Debbe Kennedy is the author of Putting Our Differences to Work: the Fastest Way to Innovation, Leadership, and High Performance (2008), Breakthrough! The Problem-Solving Advantage™ (1998), Diversity Breakthrough! Strategic Action Series Set of Six Books (2000), and Action Dialogues: Meaningful Conversations to Accelerate Change (a pack of 52 cards each isolating specific roadblocks that organizations commonly face when looking to launch a diversity initiative – designed to be used with Kennedy's Strategic Action Series).